Thanks to H&M, it looks like we?re caught in yet another rinse-and-repeat cycle of racist brand blunders. 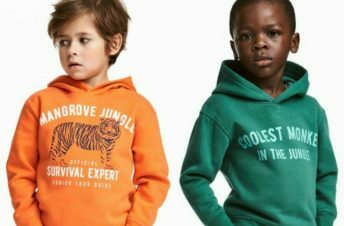 Over the weekend, social media was on fire when an image from an H&M UK campaign showed a young Black boy wearing a sweatshirt that read ?Coolest Monkey in the Jungle.? Criticism of the racist imagery was swift as were calls for H&M boycotts, including a tweet from The Weeknd stating that he was ending his partnership with the retailer. The international clothing retailer responded by pulling the sweatshirt from their stores and sites and issuing a lukewarm apology?but H&M isn?t fooling me. Ad campaigns based in willful ignorance are the laziest form of marketing strategy, and as a Black woman, a mom and a part-time model myself, I?m not buying what they?re selling.